Front and rear lights and indicators. The TDX SP takes all the best features of the TDX series and improves upon them with enhanced performance, superior ride quality, quieter chassis, and an elegantly simple design. 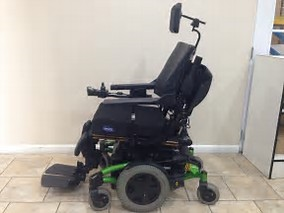 With built-in technologies such as a True Center Wheel drive, Enhanced SureStep, Traction Control Design, Quiet Stability Lock, MK6i Electronics, and powerful 4-pole motors, the TDX SP is designed to meet the needs of clients who demand performance and style.